Also referred to as the Output Speed Sensor (OSS), the VSS sends a signal that indicates the vehicle’s speed. This variable frequency signal is used by the TCU to determine when the gear should be changed. The VSS is one of the primary inputs for the TCU. The WSS signals the true speed to the TCU. The WSS senses whether the car is traveling uphill or downhill, and can adapt gear changes to road speeds. Fuel consumption is decreased using the WSS input to de-couple the torque convertor when the car is sitting still. Torque convertor de-coupling also reduces the load on the running gear. One of the main signals (in addition to the VSS input), this input is shared with the ECU. The TPS indicates engine load to the TCU. This input is used to determine the best time for a gear shift and the characteristics of that shift. Continually monitored throughout a trip, the inputs from the TPS help with program changes to be certain your vehicle is at optimum performance. Additionally, the TPS is compared to the VSS to determine acceleration patterns, etc. The ratio of TPS to VSS is compared to the vehicle’s nominal ratio, and gears are shifted accordingly; if the ratio is much higher or lower, the shift patterns are altered accordingly. For example, when placing extreme load on your vehicle’s engine going uphill or towing a trailer requires different shifting behavior than driving on a flat road. Also referred to as the Input Speed Sensor (ISS), the TSS sends a signal indicating the rotational speed of the torque convertor (input shaft). 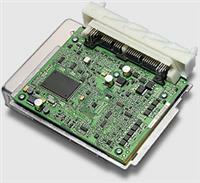 This information is used by the TCU to regulate the torque convertor’s lock-up clutch. The TSS allows the TCU to monitor slippage across the torque convertor; some TCUs also monitor slippage across the bands and clutches as well. 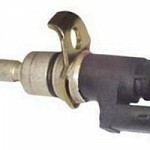 Also referred to as the Transmission Oil Temperature, this sensor gauges the temperature of the ATF inside the transmission. 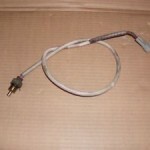 This input is used as a failsafe measure to downshift when the ATF temperature is extremely high. Some TCUs are able to alter the line and solenoid pressure according to viscosity as calculated by the ATF temperature. 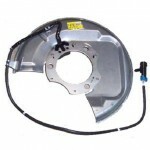 Additionally, the TFT can be used to regulate the torque convertor lock-up clutch. This input can determine if the accelerator (gas) pedal is pushed past full throttle. If activated, the kick down switch activates a downshift of the transmission. The transmission will shift into the lowest possible gear according to road speed, allowing the vehicle to use reserve engine power. Although the kick down switch is still present on many modern transmissions, the TCU responds to the TSS to determine necessary downshifting for power. Used to prevent shifting when the driver’s foot is not on the brake. Also, this input determines if the engine’s braking effect must be increased by downshifting when braking while driving downhill. If the TCS signals unfavorable road conditions to the TCU, the shifting program is changed accordingly. Most vehicles’ TCUs do have a TCS input, and will alter shifting patterns by shifting up early, eliminating the lock-up clutch on the torque convertor and eliminating first gear (starting from second). Simple on/off switches throughout the engine send signals to indicate the presence (or lack of ) hydraulic pressure in specific lines. 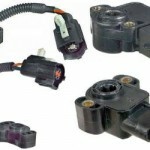 Mostly for diagnostic purposes, some hydraulic switch inputs are use to control hydraulic elements. Eliminates unexpected gear shifts when TCU receives the cruise control engaged signal.